Gonca Ender was born in Istanbul, Turkey and studied in a French High School. She then graduated from Marmara University with a BA degree. Gonca had her Master's degree in marketing and management from HEC St. Louis, Brussels, Belgium. She worked for ten years for the Turkish Airlines as March Research & Planning Director and International Relations & Agreements Manager. She also worked for three years in European Union Commission Air Transport Division in Brussels, Belgium. 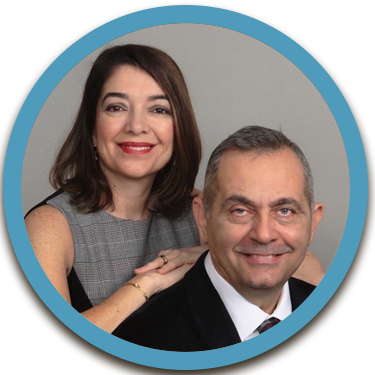 In 1998, Gonca moved to Myrtle Beach and she has been with Century 21 Boling since March 2008. Gonca is also married with two children. I would use her to buy or sell again. The service she provided us with that friendly YES WE CAN HELP attitude went a long way with us. I know she would always go above and beyond what she needed too. I could always count on her for anything during the listing. Trustworthy, available, know how to get the job done and follow up are just a few of the many qualities this person has. Gonca Ender thanks for all you have done!! Walter S.
I received a phone call from Gonca who had shown my home several years prior as her former clients wanted to revisit the home. From the outset, I was impressed by her consummate professionalism, knowledge, and a record of follow-through that heretofore I had NEVER gotten from any agent/broker - domestic or international - throughout my real estate investment history. Gonca is extraordinary and exceptional across the board and although I reside in Southern California, I never once had any concerns that I was not in the best of "hands". If only there were more of her and especially here in CA. A Super Star! After multiple attempts over the past 10 years to sell this home with renters interspersed, I was at my wits ends until I met Gonca. As the saying goes, she had me from the first hello! She oozes credibility and after spending a short time with her, I realized without hesitation, she was the Agent I had been looking for and needed. Fundamental to my selection of an Agent is credibility, knowledge, punctuality and follow-through. Being a person of her word and someone who deals in fact and not "fluff", were the exacting and powerful tools I needed. It is evident that her prior background experience enhances the overall picture. She listens and she gets the job done! Simply put, I haven't the time to deal with people who tell me what they think I want to hear but tell me what IS! Gonca is a true testament to the Real Estate Industry and surely to Century 21 Boling. I will without hesitation, use every opportunity and occasion to promote her. Sara C.
Gonca was totally engaged from my first inquiry email expressing interest. She constantly provided properties matching our criteria for consideration prior to arrival and wasted no time with the selections she showed us when present. Gonca was most personable, knowledgeable and acted quickly, efficiently and thoroughly on our behalf through the offer and purchase process. Gail & Doug B.